When I was a kid ThunderCats was a big thing. 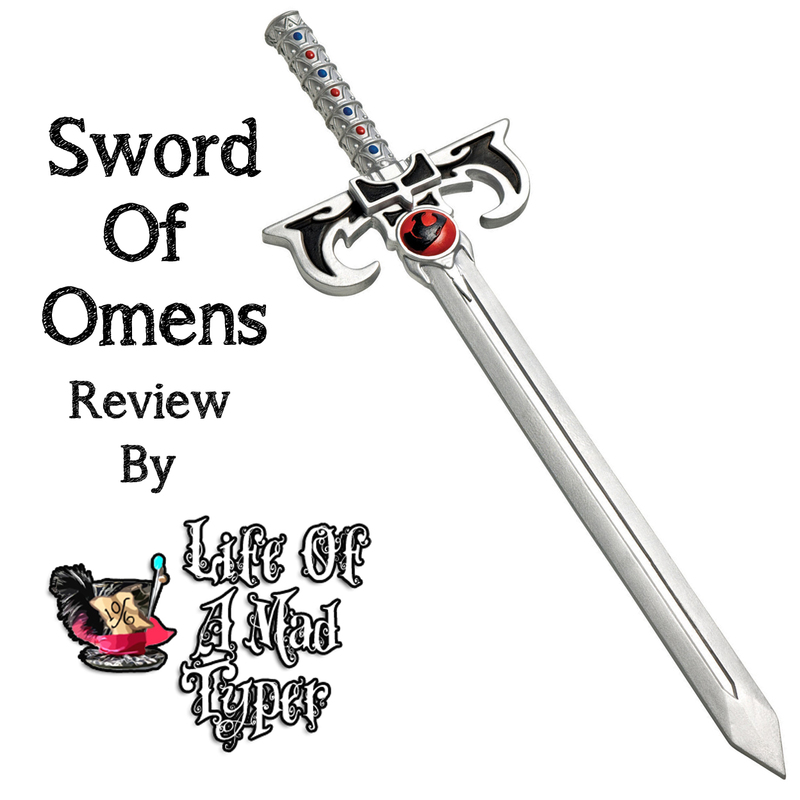 I loved the show and when I got the chance to review the Sword of Omens I was super excited. When I was around 8 years old I collected play swords and actually did "sword fights" with my cousins with them or broom sticks. I always wanted to get into fencing as well but its not something that I knew where to go to get into. I mean its not that common everywhere like it once was. 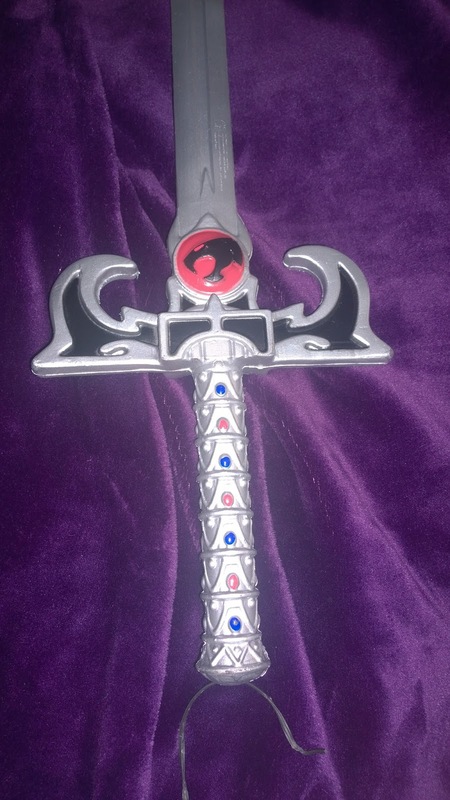 I know what you are thinking, I am an adult why do I want a childrens toy sword. To me I guess its a bit of nostalgia and I can use it on halloween. No I won't be Lion-O but my costumes tend to be made of various items from my house. 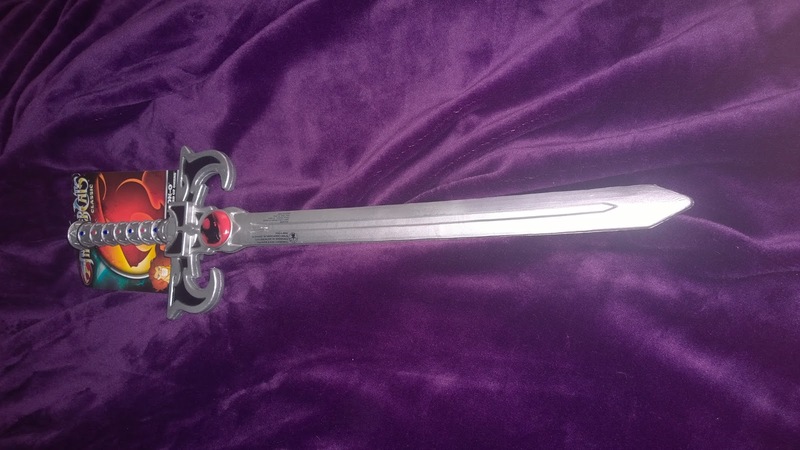 Although made for kids the sword is well made and has a nice weight to it. Not flimsy or off balance I could see playing with it as a kid but even as an adult. I know I am a nerd but who cares! If you are looking for weapons to accompany yours or your childs costume then check out frightcatalog.com. This sword is amazing! We are Thundercats fans in this out! LOVE IT!